VPR and NPR coverage of the death of Senator Edward M. Kennedy. 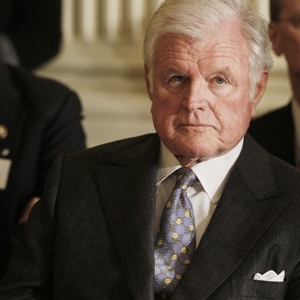 10AM On Point Tom Ashbrook and his guests Gerald Seib, Senator Judd Gregg, Martin Nolan, Ross Baker, and Jack Beatty remember Senator Kennedy. 12PM Vermont Edition Vermont Senator Patrick Leahy remembers his friend and colleague. 3PM Fresh Air broadscast an interview with Senator Kennedy from 2006. 7PM NPR News Special hosted by Linda Wertheimer. 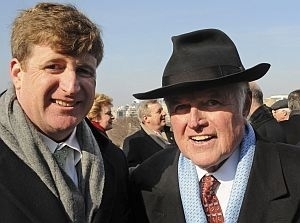 Vermont’s longtime senator, Patrick Leahy, called Ted Kennedy a good friend. He spoke with VPR’s Jane Lindholm and recalled his first memory of Kennedy as a colleague.